I miss you all guys, I have been very busy with other stuffs that I wasn’t able to make a new post. But now I’m back to post about the special event I went to last Sunday. My last post was about a hair do that I really want to do on my hair for the event but no matter how many times I tried, I just couldn’t get it so I opted to curl my hair instead. 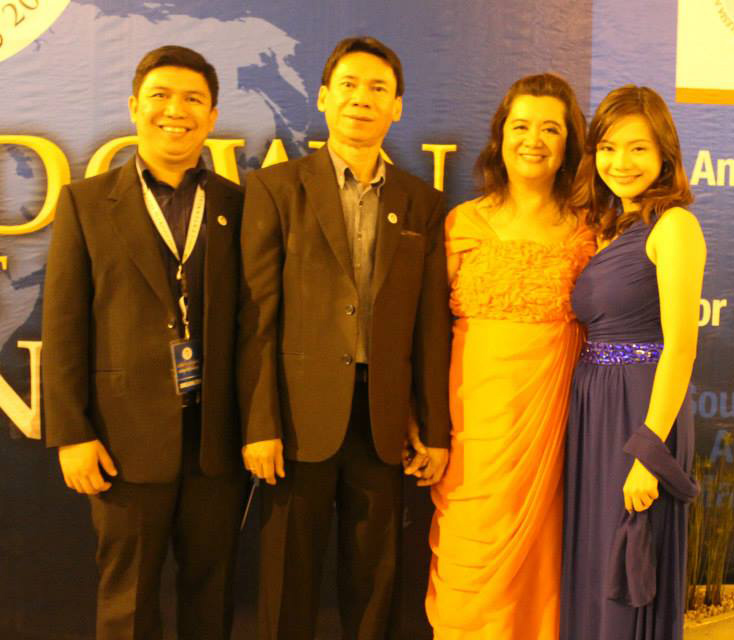 It was a formal affair, my mom and I wore long gowns, while my father and brother wore suits. We took the opportunity to take a family picture. I have a great family! We had so much fun that night.. That night was extra special for us because it’s not everyday that we get to spend time with my older brother because he is now living in Manila while the three of us remained here in Cebu. And look! My parents holding hands while smiling at the camera.. so cute! And that night, I felt like a princess, outside the hustle and bustle of my regular, stressful life. I got away from it all for a few hours and I’m really going to cherish that night for always. 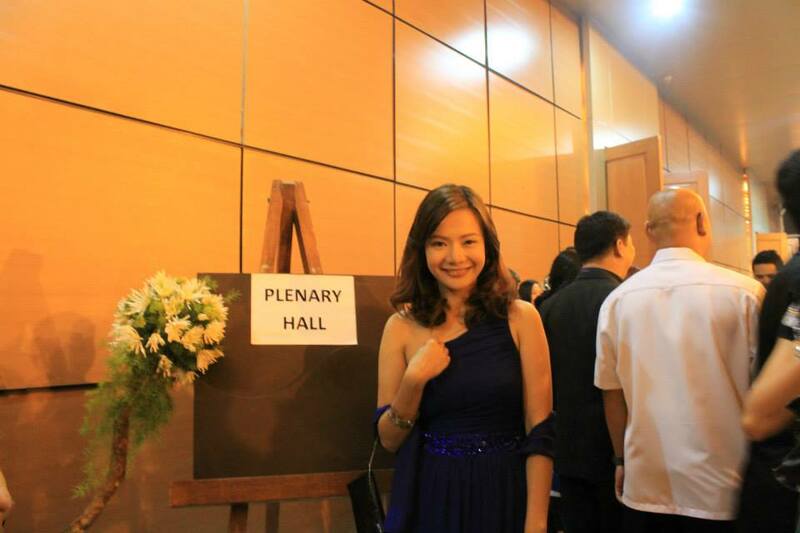 For the occasion, I wore an empire cut one-shoulder royal blue gown. It was a really simple gown with just blue gems as embellishments but I love it! Tip: Empire cut gowns and dresses, will instantly give the impression of long legs so it will make you look taller than you actually are! I curled my short locks and did my own make-up. While my mother, wore an orange gown, just right for her age. I also did her hair and make-up. She was so pretty that night. Not to mention how dashing my father and brother are! 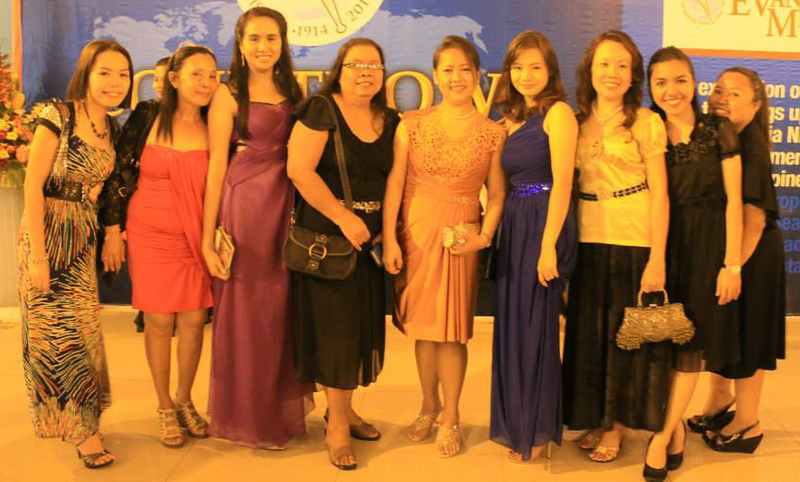 In this picture, I’m surrounded by beautiful ladies, friends of different ages but all are so fun to be with..